We are located within the Cole Historic District of Sheboygan Falls. You'll love discovering our "Main Street" community with meticulously renovated city blocks, quaint shops, and a selection of restaurants within walking distance from the inn. 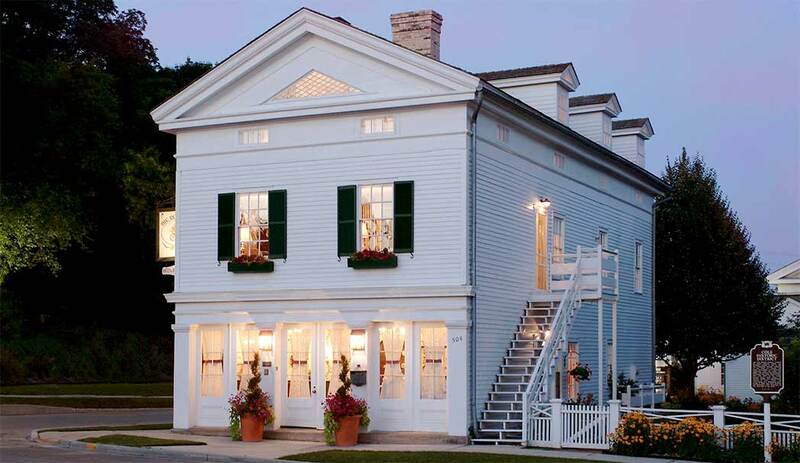 Take a horse-drawn carriage ride through the charming Village of Kohler, indulge in an incredible array of fine dining options, book an appointment at the Kohler Waters Spa, or golf one of the championship courses. We look forward to your visit! A gift certificate for The Rochester Inn is certain to surprise and delight! Whatever the occasion, celebrate at The Rochester Inn...relaxing, romantic, and a place where memories are made. Contact The Rochester Inn to learn more. 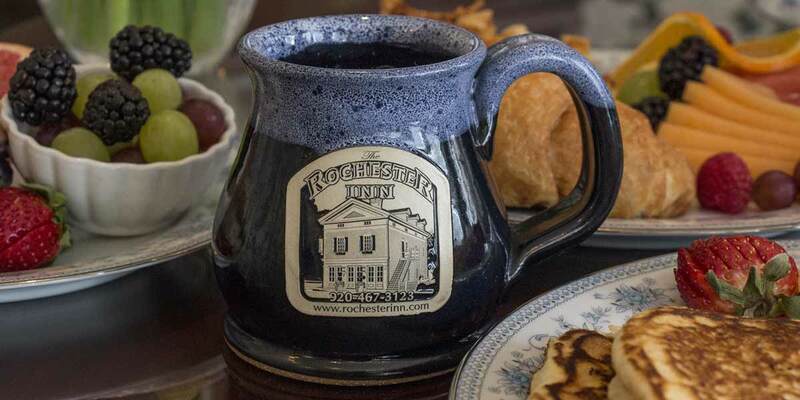 A scrumptious breakfast is always on the menu at The Rochester Inn! Indulge in our freshly prepared breakfast selections featuring locally-sourced ingredients delivered by our staff to your guest room. "Our stay was everything we could have wished for. 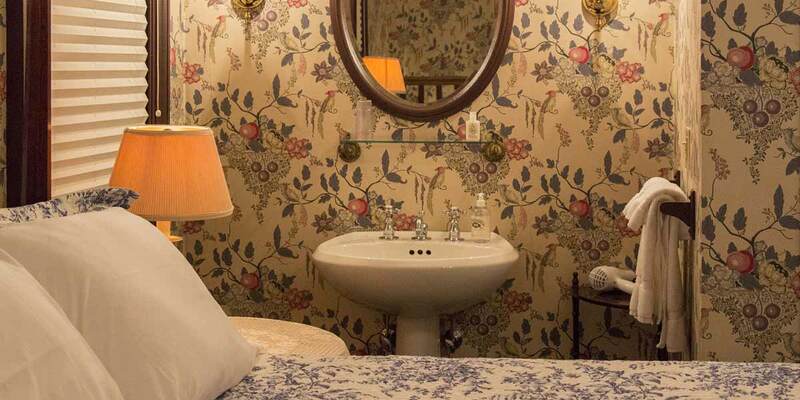 Our guest room, the Garden Suite, included a lovely sitting room with a view of the garden. The breakfasts were delicious and beautifully presented. The hostesses were charming. It was lovely to walk around the little park at the falls just a few blocks away." "We stayed close to the Christmas holiday. The town of Sheboygan Falls is filled with little shops and restaurants just steps from the front door of the Rochester Inn. The staff is friendly and knowledgeable with great recommendations for activities and dining. Breakfast was outstanding! With the Christmas decorations Sheboygan Falls looked like Bedford Falls. What a wonderful winter getaway. The next time we plan on staying longer!" Luxurious Gem of a Spot! "My suite was so beautifully decorated, spacious, & luxurious. It far exceeded my expectations. Even though it was a work trip, it felt like a vacation. It is impeccably clean - maybe the cleanest hotel I have ever stayed in. The homemade breakfast in the morning was incredible too. Overall, one of the best stays I've had in years!"